Discover how our expertise can help to provide solutions for your multi-brand probes such as GE Healthcare, Philips™, Siemens™, Aloka™ and other. Improve cost efficiency by choosing the right probe care solution adapted to your budget needs. Increase confidence in your diagnosis by ensuring your probe is performing correctly. Maximize Continuity of your clinical activity by protectively monitoring the performance of your probes. Our team will guide you through the right solution depending on the issue faced. For any solution you choose, we guarantee you that all probes are qualified by our GE Quality Management System before being sent to you. We provide you with a loaner while your defective equipment is being taken care of. 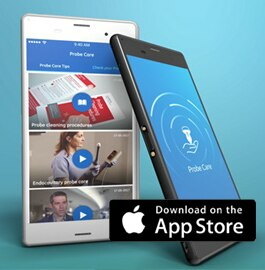 Download the Probe Care app, you will be able to access educational content that will help you maximize your probe performance, benefit from educational resources on the recommended care, handling and maintenance procedures of your probes. 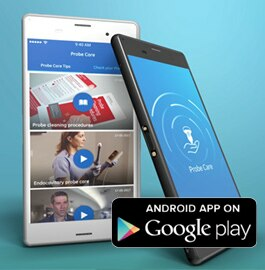 Also, if you have any doubt about the level of performance of your probe, raise a request in the Probe Care app and benefit from our Unisyn expert’s first opinion service, for free. No matter the model, no matter the brand. We propose you a comprehensive health check of your fleet of probes that can help you reduce the incidence of damaged probes in use and the possible misdiagnosis and re-examinations. Also, Unisyn can support you in managing your entire fleet of probes in a proactive way to help you run your clinical activity with a high level of confidence. • All probes are qualified by our GE Quality Management System before being sent to you. Need to repair your probe now? Or simply want to discuss the available multi-brand probe repair solutions?